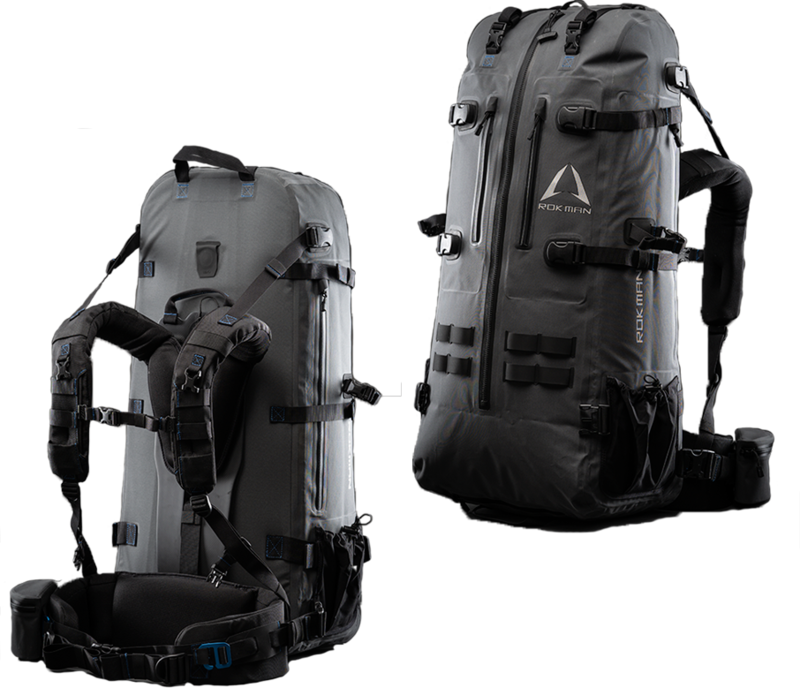 The BASECAMP 5000 is the largest pack we currently offer. 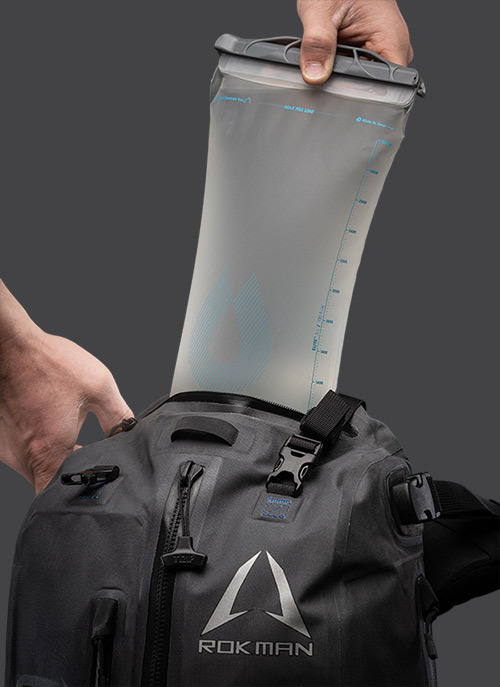 It works as a pack or a duffle bag. 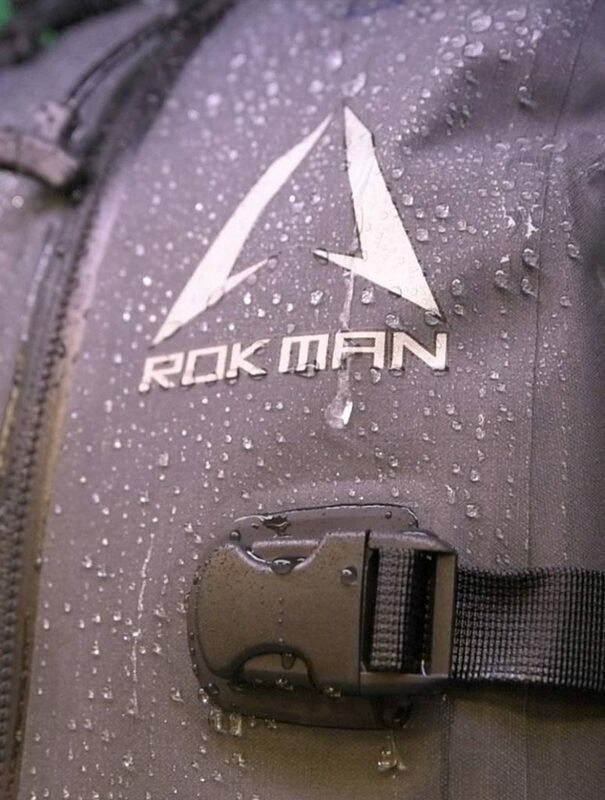 It integrates into the ROKMAN Quick-Change System. 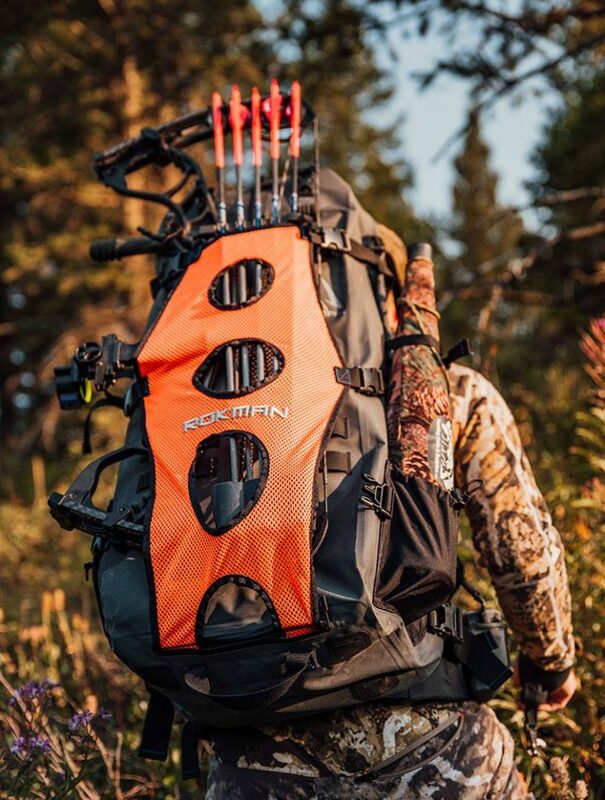 ROKMAN Hunting Packs are constructed from 100% waterproof TPU bonded 420D High Tenacity Nylon core fabric and 100% waterproof RF welded seams, and with a fully waterproof main compartment it gives you the capability of handling the most extreme conditions. 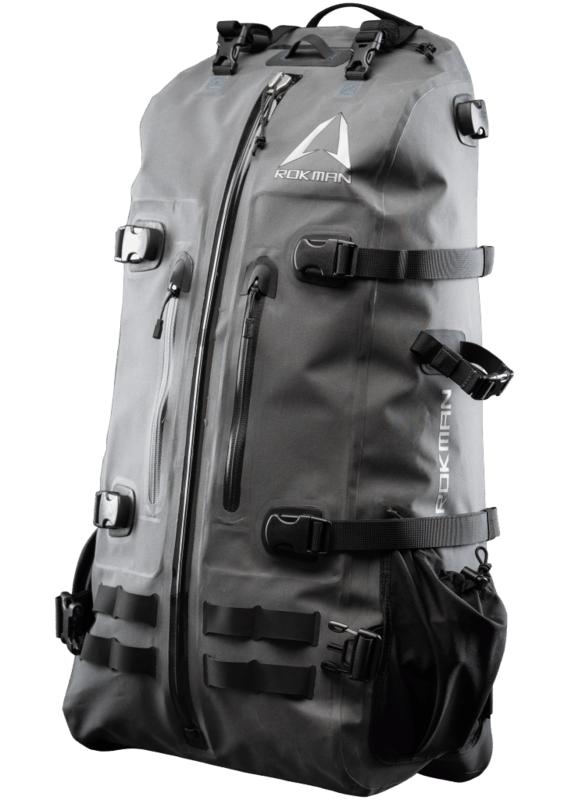 The Basecamp 5000 pack has multiple pockets so you can organize your camp gear. 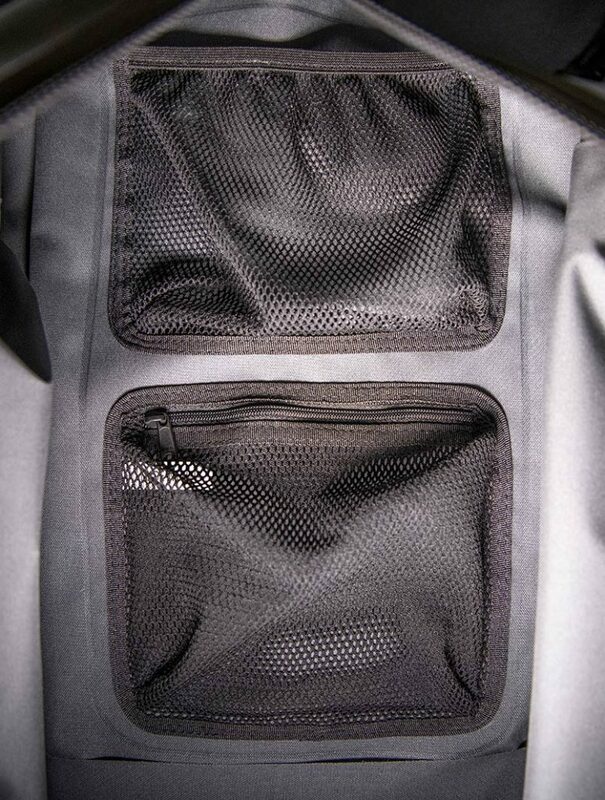 There are two internal mesh pockets, two external side pockets designed large enough for the spotting scopes or tripods, two smaller accessory pockets, one easy access hydro bladder top pocket, the main large compartment for those bulky items, and a pocket in the bottom that holds the load strap for those extra items that just don’t fit in a pack. You might want to start by reading my first review on the smaller pack page for some context. During my recent trip to Europe this larger pack was actually used as checked luggage. If you want a true test of any gear’s durability, check it on an international trip. Total of 6 flights for myself and this bag, and I can honestly say it looks exactly as it did when I bought it. 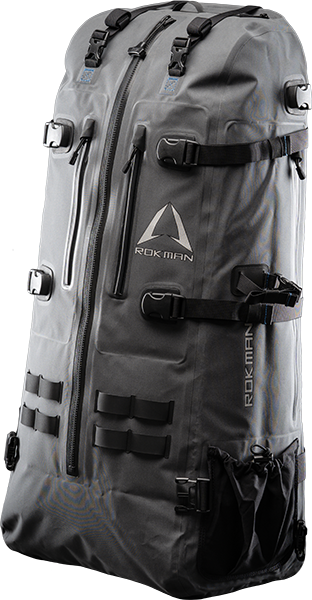 Contrast that with my Eagle Creek luggage (supposed to be really high quality stuff) that took the same trip right along-side this bag and I think the quality of Rokman gear speaks for itself. That other bag had a bumper ripped off one corner, and one of the straps wore completely through. That said, I am probably the only weirdo that will check this bag, so here is a real world review of the performance on the trail. I spent 2 weeks with this bag backpacking across Norway. It held everything I needed for my trip, and stood up to all kinds of weather. Inside I could fit my: tent, tarp, sleeping bag, cook kit, clothes (warm and cold weather), survival kit (see other review), and food. The only things that went on the outside of this pack were my water bottle, and hiking poles (when I wasn’t using them). 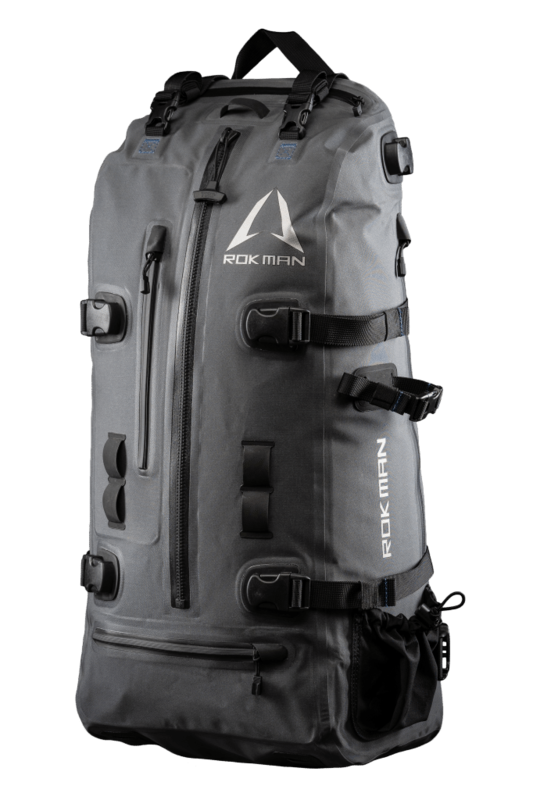 I did 2 weeks with ~60lbs of gear in this thing hiking every day and had no fatigue from the pack, NONE! I have never experienced this before. 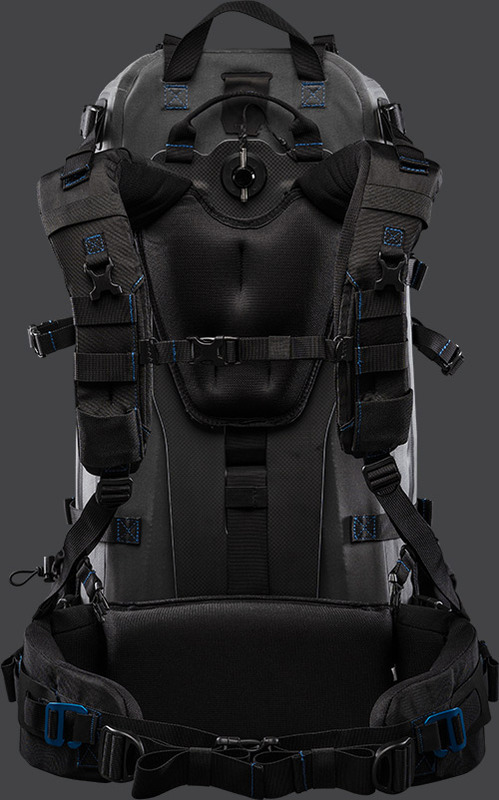 I credit this to the design of the harness, it is SO adjustable that if you are not comfortable in this thing, you are doing it wrong. The padding is perfect, and the way it sits, you do not end up with sweaty back syndrome. 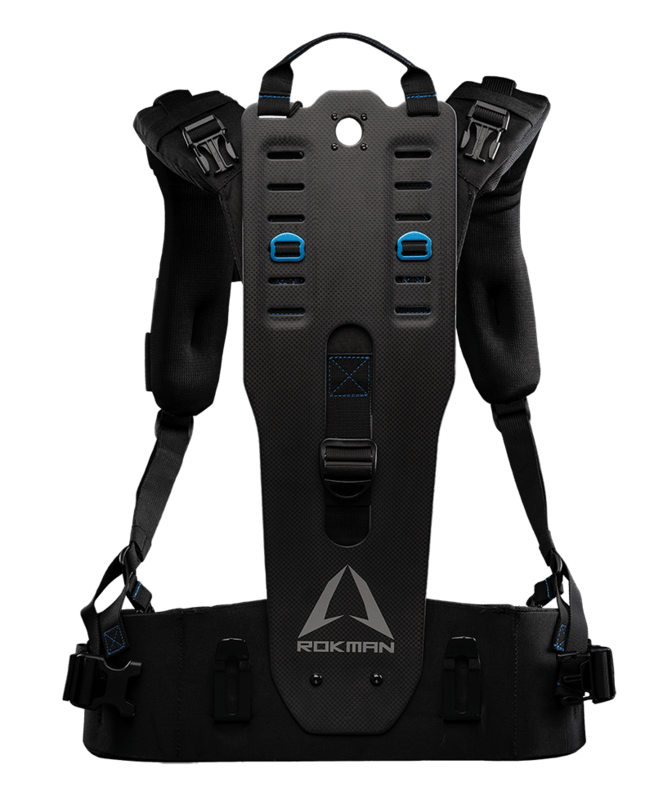 It contacts you only on the lower back, and then between the shoulder blades, so your entire mid-back stays sweat free. I would also often loosed the straps to allow it to lean away from my upper back, so the only sweat I had was on my lower back/hips. I love this gear, and am forever a customer. You can’t go wrong with this stuff. Bottom line (TLDR); buy it, you won’t regret it.